Hundreds of people die on Texas roads due to distracted driving every year. Although distractions on the road have always been an issue, our digital devices make it easier to become distracted. As the use of these devices increases, so does the number of accidents caused by distracted driving. The Insurance Council of Texas reported that a driver is 23 times more likely to be involved in a traffic accident if they are texting. Distracted driving causes serious accidents and results in hundreds of fatalities a year. 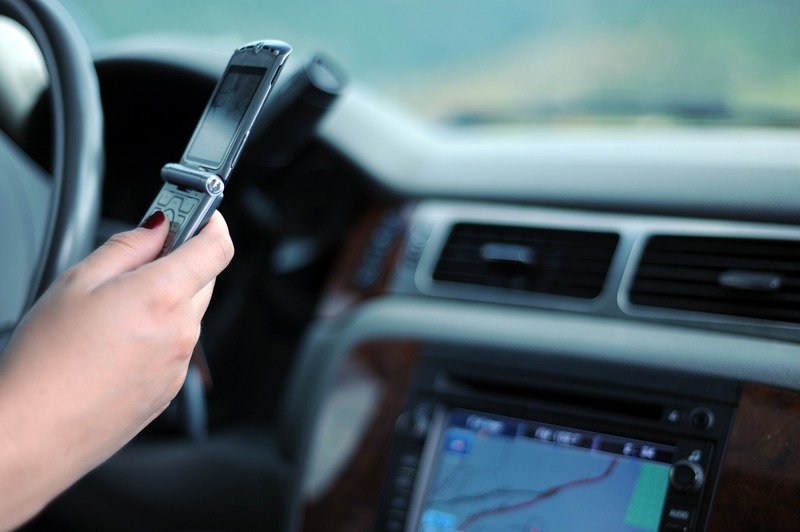 Read on to learn more about texting and driving laws in Texas and what you should do if you are injured in a car wreck caused by distracted driving. Over 30 cities in Texas have adopted texting and driving laws. The fines issued for distracted driving vary depending on the area, but some fines are as high as $500. Cities throughout Texas have adopted their own rules when it comes to using digital devices while driving, yet some rules are state-wide. Those who have a learner’s permit are banned from using handheld cell phones during their first six months of operating a motor vehicle. All Texas drivers under 18 are banned from using any device while driving. It is also illegal to use a device while in a school crossing zone. Fines are quite hefty for all of these offenses. There are other forms of distracted driving that can cause dangerous car wrecks. These actions include eating, brushing hair, adjusting the radio or thermostat, and using apps on handheld electronics. No matter what causes drivers to become unfocused, not fully concentrating on the road can cause physical injury to other drivers. There were 105,783 car crashes caused by distracted driving in 2015, according to the Texas Department of Transportation. This number includes 476 fatalities and 2,502 crashes that caused one or more incapacitating injuries. Many people are seriously injured in accidents related to distracted driving, even though the fault is not their own. If you were one of the many hurt in a car wreck caused by a distracted driver in Texas, consult a personal injury attorney today. You may be entitled to compensation for your injuries. Attorney Dean Boyd can help. Call us today at (806) 242-3333 or Contact Us by email to learn more about our services. You can also visit our office at 4423 SW 45th Ave in Amarillo, Texas or 5012 50th St #103 in Lubbock, Texas to speak with one of our experienced and caring staff members.